“Three is One” is a new feature here on the blog. The idea is to examine three different movies that have something in common and see in which ways they differ from one another. 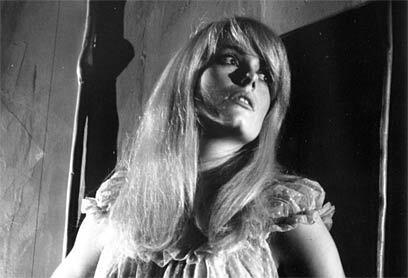 This first installment will be about three psychological thrillers in which women lose their minds, or perhaps have lost them already: Roman Polanski’s Repulsion, Robert Altman’s Images and Darren Aronofsky’s Black Swan. All three films put an emphasis on female sexuality in various ways, and they all feature plenty of ambiguity about what is actually really and what is merely hallucinations. Catherine Deneuve plays Carole, a young woman who lives in a London apartment with her sister and works as a manicurist. Carole has a big problem with men. She’s noticeably uncomfortable around them, which creates conflict with her sexual urges (the source of this aversion of hers is never revealed, making her case the most mysterious of the three films). When her sister goes on a holiday, Carole is left alone in their home. It’s around this time her sanity starts slipping. She spends more and more time at home, never leaving except to go to work. Strange noises are heard, threatening shadows loom outside her bedroom door and the entire apartment seems to be decaying.